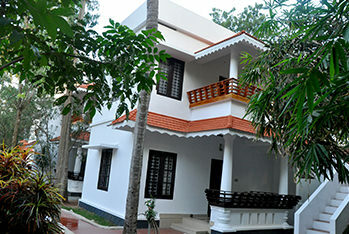 At Nikhil Residence, situated at North cliff, Varkala, you can experience tranquility at its best. With comfortable, cozy and stylish rooms and independent cottages, amidst verdant green palm grooves, the residence is the perfect place to unwind and revitalize. 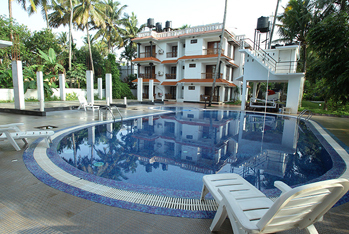 There is only 5 minutes walk from Varkala's stunning Papanasam cliffs and beach. 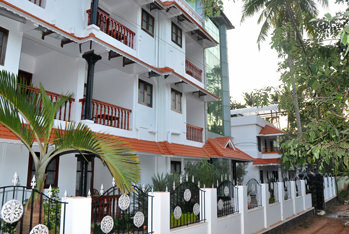 With a choice of unique cottages or well-appointed rooms, Nikhil Residence aims to offer you luxurious comfort and security. If you don't want to stay directly at the cliff this hotel is a very good option. Nice rooms and a super swimming pool (for lap swimmers). Manager/receptionist Dilip was very helpful, brought us a local breakfast on his motorbike. Moved rooms once because Aircon was not working well, no problem. Good food in the restaurant too. 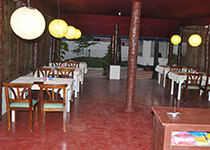 Our Restuarant offers traditional delicacies,continental and indian cuisine ensuring a dining experience that is to relish and remember. Guests can choose from the finest selection of fresh Prawns, snapper, lobster and have it prepared to their choice. Ayurveda, the science of life, was originated in India and is best flourishing in Kerala. 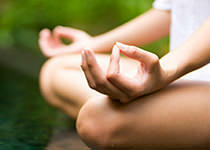 Ayurveda in Kerala is the best as no where else you can find the most professional practitioners of this medical system. 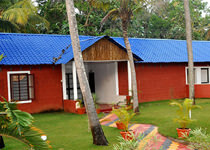 Surrounded by the lush coconut palms, the roof top yoga shala is an ideal place to practise or learn yoga in the land of it's origin.Yoga centre offers daily yoga classes and weekly course for long term guests.